Hatton, for the most part is quiet. The region is famed for its tea plantations and scenic views where most visitors travel through en route to other destinations. But now, there is a reason to make Hatton an overnight (or two), stay. Located just five minutes from town, on the Nuwara Eliya road is a new luxury hotel, The Argyle, currently the only luxury hotel in Hatton. Set in 3.1 acres of sprawling tea country, The Argyle is large, spacious and themed along Scottish heritage in reverence to the era of the Scottish tea planters who settled in this area in the 1850s. Titbits of Scotland are interspersed throughout The Argyle’s décor, created within minimalistic architecture, and offers open views and airy spaces. Its 38 rooms offer simple luxuries and elegant designs and are all named after real life notable Scots. But what is most interesting about The Argyle is the stunning view of Sri Lanka’s iconic spiritual mountain, Sri Pada, or Adams Peak. Every bedroom faces this imposing mountain and the changing weather – mist, sunshine, rain, sunsets – offers a screenplay of breathtakingly delightful backdrops. 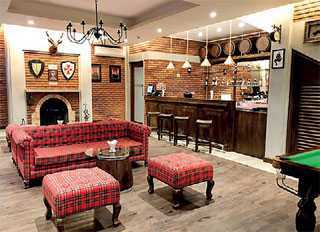 The hotel also boasts of a heated pool, a Shisha corner, a Scottish-themed bar with pool table, indoor and outdoor games, bicycles and much more. For travellers who want to visit the hill country over the April holidays, The Argyle is a perfect change of pace. 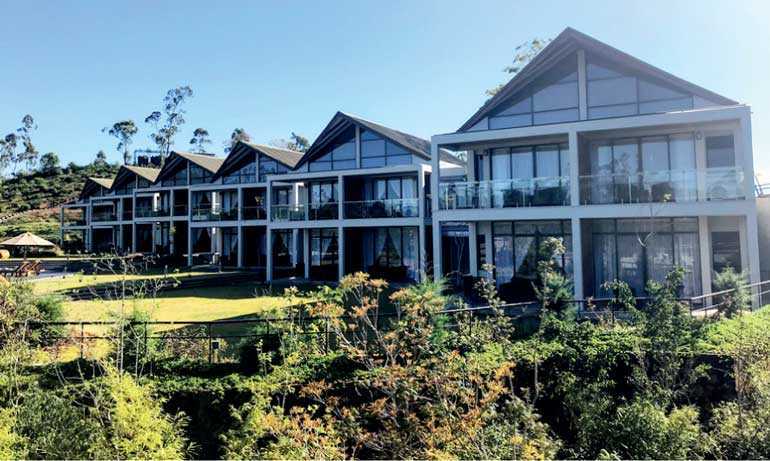 Just one hour’s drive from Nuwara Eliya, guests can visit that town and return to the solitude and serenity of The Argyle to be pampered for the rest of the day. 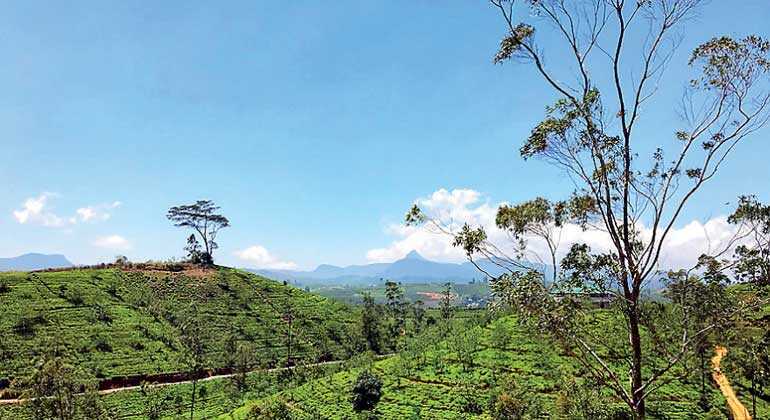 The hotel has also curated various tours to tea estates, World’s End, Adams Peak, scenic waterfalls, old churches, Moon Plains and many more exciting sites along with transport, food and beverages and guided tours. One of the highlights would be the scenic train ride from Kotagala to Nanu Oya inclusive of train tickets and a pre-arranged pickup from the Nanu Oya station. 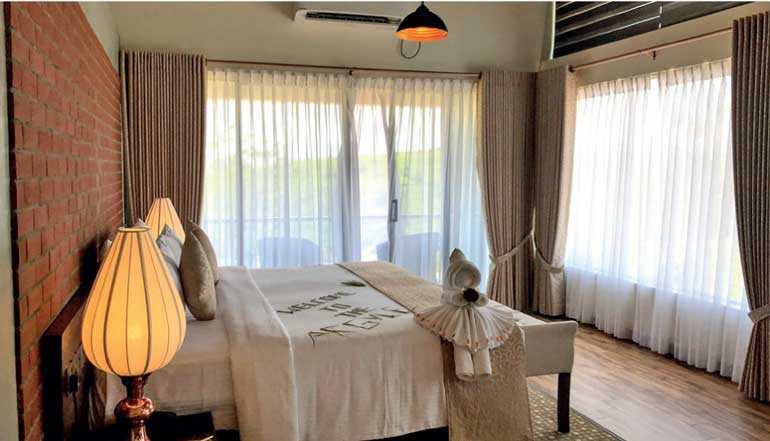 In keeping with international requirements, the hotel provides facilities for differently abled and aged guests, endorses sustainable tourism, and is involved in community upliftment. What sets this hotel apart is the exceptional service standards by its staff. They are caring, courteous and extremely customer conscientious. The food is also exceptionally good offering a la carte options to ensure guests dine to their satisfaction. Everything about the hotel reflects their vision “to provide people with a brief escape into luxury and comfort over the course of their normal day. We do this by providing them with exceptional services and experiences that could give a lasting impression”. For more information, visit http://www.theargyle.lk/. 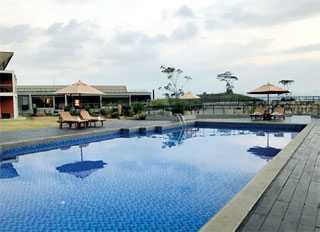 The Argyle is located 3.7 km from the Hatton town and 36 km from Nuwara Eliya and 132 km from Colombo via Avissawela. Hatton is at an elevation of 1,271 m (4,170 ft.) above sea level, which means the nights can get a tad chilly. So, remember to take a light jacket.